Neil Riemann litigates a broad array of commercial cases and advises clients on privacy, cybersecurity, and other aspects of technology law. In litigation, he has appeared before state and federal courts in seven states and the District of Columbia, where he has handled major industrial accident, business tort, environmental, insurance, and construction claims before trial courts and on appeal. 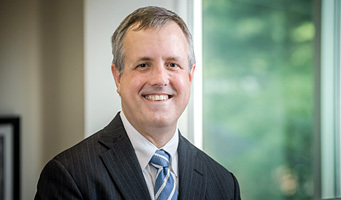 Outside the traditional courtroom, he has fought government contract cases before the General Accounting Office and other governmental agencies, defended clients in enforcement actions before the SEC, arbitrated broker-customer disputes before the Financial Institutions Regulatory Authority (FINRA), and arbitrated construction claims and other matters before the American Arbitration Association. In the privacy and cybersecurity area, he will advise clients in the legal, education, health care, financial, manufacturing, construction, securities, and software development sectors, and he has a special interest in privacy and security issues like privacy by design that affect software developers and manufacturers supplying products for the “Internet of Things.” He holds a Certified Information Privacy Professional—United States (CIPP/US) designation from the International Association of Privacy Professionals, and he also maintains the blog nccyberlaw.com. Neil also provides ongoing pro bono representation to prisoners and detainees disputing their conditions of confinement and represents the interests of guardians ad litem in appeals from terminations of parental rights. In addition to representing clients, Neil chairs the North Carolina Bar Association’s Technology Committee and recently contributed to two different projects of the Sedona Conference’s Working Group 11 on Data Security and Privacy Liability. If you aren’t an existing client of Penry|Riemann pllc, don’t email us any confidential information yet. We may not be able to treat it confidentially if, for example, we already represent another party in the dispute.